the cancelled Singapore trip | escaped. Been planning this trip for quite a while now, especially since I've never been to Singapore. My husband has been there for work, but he apparently doesn't share the same sentiment as others who's been there - he hates the place. "Why do you want to go there? It's a small country, nothing much to see. We can go to some island here in Malaysia"
Uhh..but they don't have Haji Lane or Orchard Road. So after weeks of persuading, he gave in - with a certain conditions. + We have to stay in a hotel in JB, which means we'll be driving to Singapore, instead of flying there. He said he prefers driving as we'll need to bring Rayyan's stuff - his packed food, his milk, his toys to keep him company - all these need to be carried all day. Walking around and taking MRTs are out of question. + We'll spend one day sight-seeing JB, since we're staying there. To which I happily obliged as I've been looking forward to Hello Kitty Town and Legoland - for taking pictures purpose, of course. The next weekend after the decision, we even went to make a passport for Rayyan too. So semangat. Then, the day came. We were so excited, I even marked it in my work calendar. The excitement continued in the car, along the drive from KL to JB. I was browsing through the pictures in my phone. 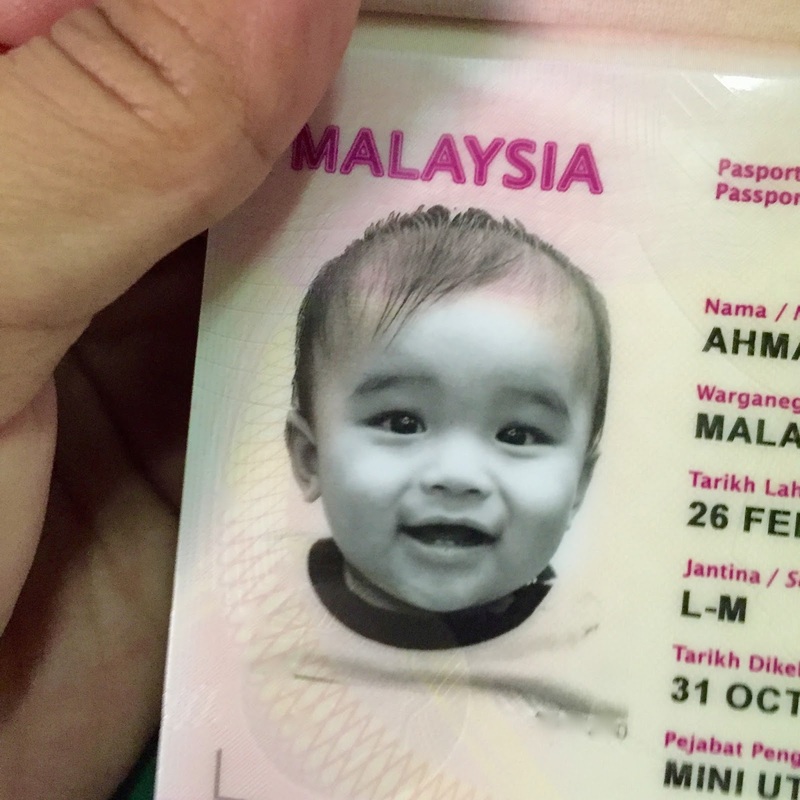 Came across a picture of Rayyan's passport photo, instantly reminded of how chaotic it was to get his photo taken at the immigration. Boy, he looks so cute, he even smiled widely for the camera. Dang his passport photo is so much nicer than mine. "Oh..my..God. WE FORGOT OUR PASSPORTS!!" I almost cried. My husband almost cried, too. (since he's the one driving all the way from KL) I wanted to ask him if he'd be willing to turn around, drive back to KL and get our passports and drive back to JB, but he looks so taken aback I was scared he might bite my head off. So yes, that's how we had to cancel the Singapore trip and spent the weekend touring JB instead. Next time, check your passports before leaving the house, woman. Haha of course I singgah XD XD But surprisingly couldn't find anything I like. Sobs.